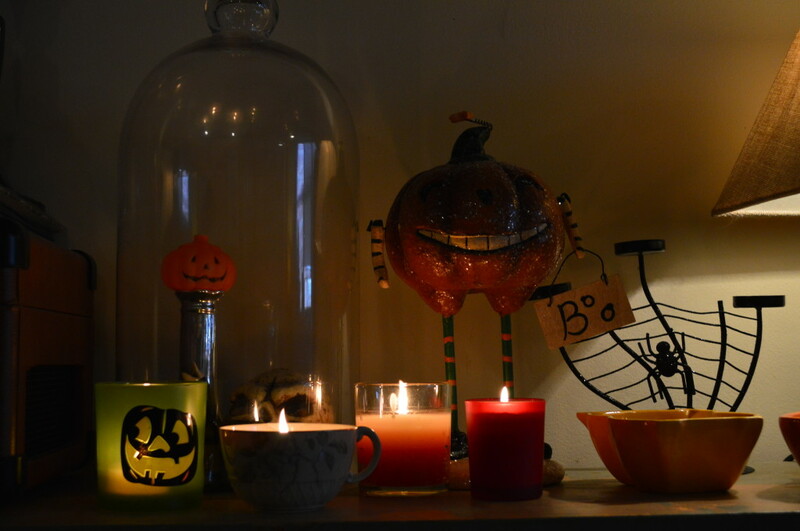 I’m currently wearing a scarf, sitting next to the empty mug of pumpkin chai + espresso, editing Halloween photos. Autumn is simply the best. 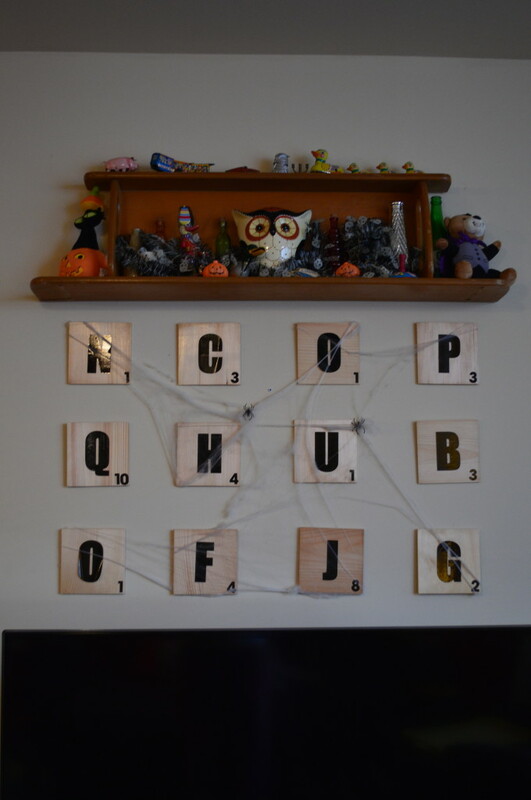 As I am a huge fan of holidays, I gave the apartment the full spooky treatment to prepare for the impending night of fright. 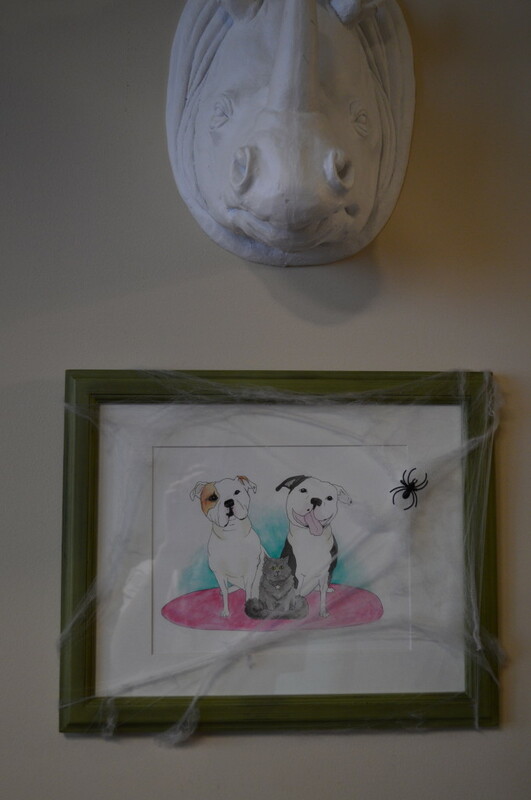 My Halloween decor is a mix of affordable finds, DIY projects and leftover costume accessories, with faux spider webs and plastic pumpkins scattered throughout. While I may jump every morning thinking that plastic bug on the wall is real, I adore the tradition of decorating for the holidays. It helps me put time in perspective and remember to enjoy the season at hand. With fashion, and journalism, always a few months ahead of the weather, it can be hard to pay attention to what is happening right now. I’m here to remind you that it’s mid-October, and if it isn’t knit, scary, or somehow related to pumpkins, it probably ought to wait. 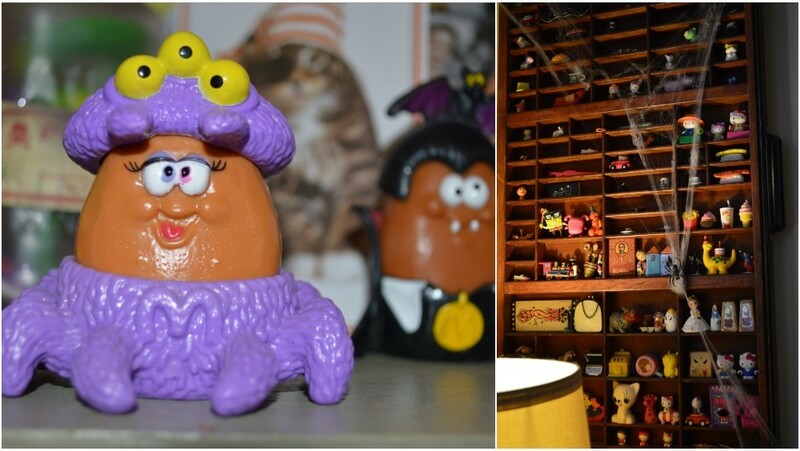 Now take a peek at some of my favorite parts of our spook-tacular loft. Last year’s Halloween purchase: The hilarious Pumpkin Man, found at Home Goods. 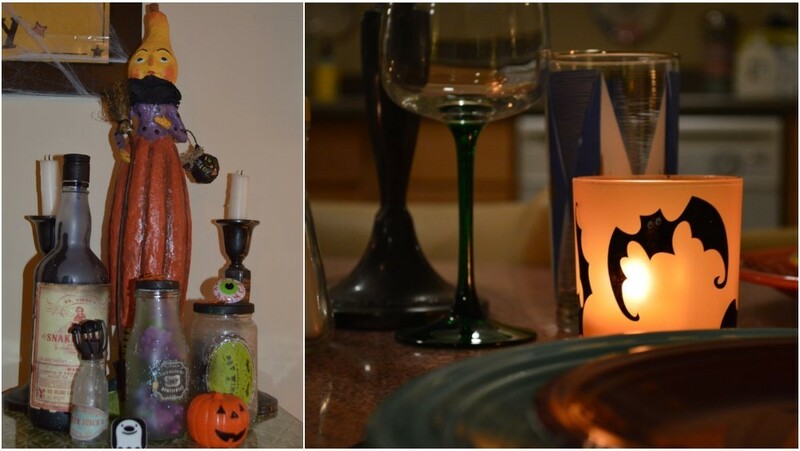 Cheap, fast and easy Halloween decor: DIY Spooky Witch’s Ingredient Jars and Bottles. The soon-to-be-named Rhino, aka the latest addition to the apartment. 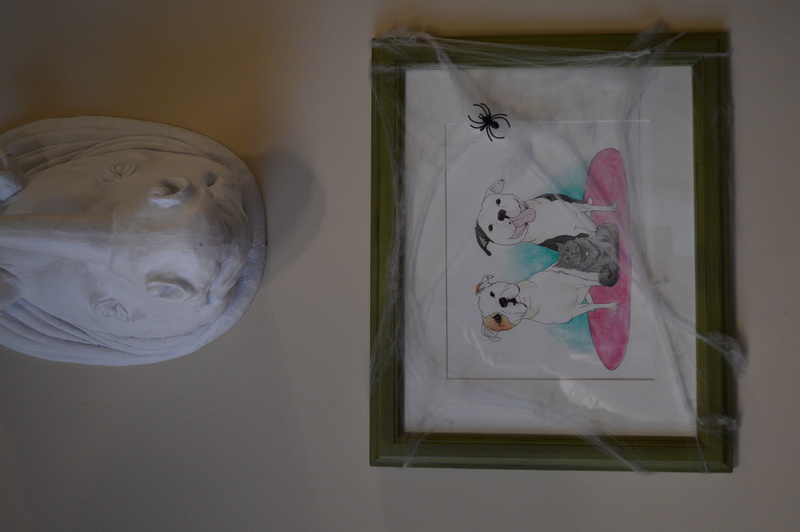 Custom pet illustration by Caitlin Winkler. Cute and scary! 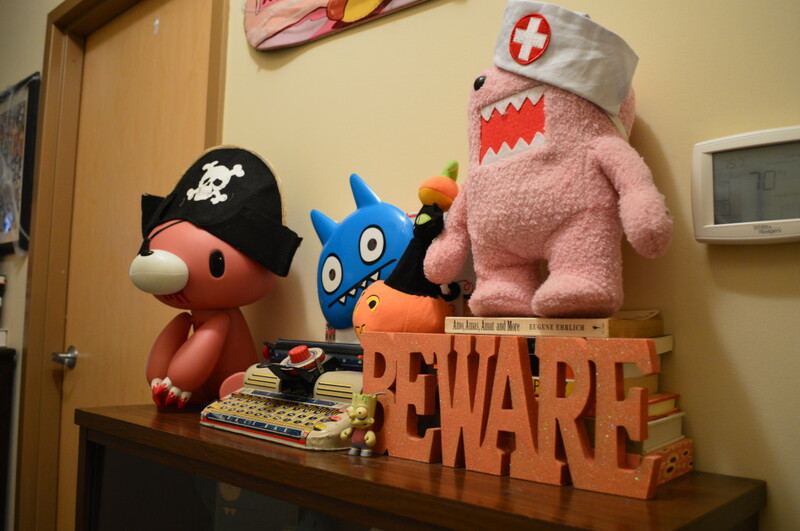 The toy shelf gets a festive makeover. 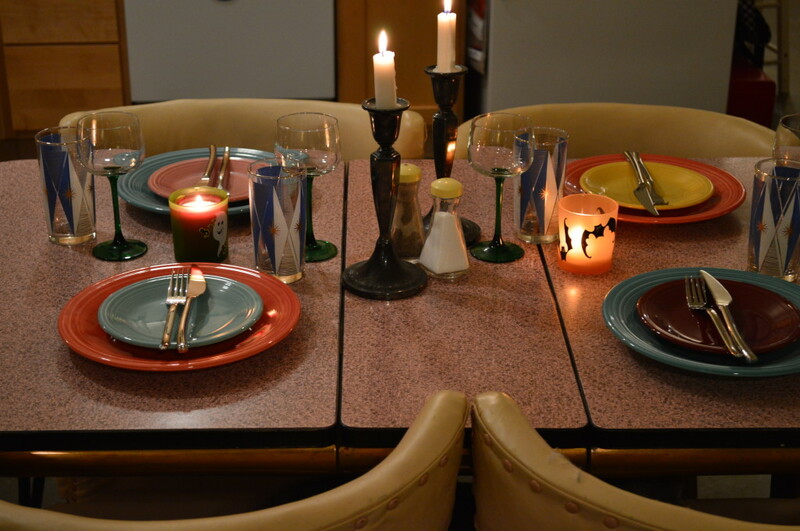 One of 2873017323 reasons I love Fiestaware: it matches every season. 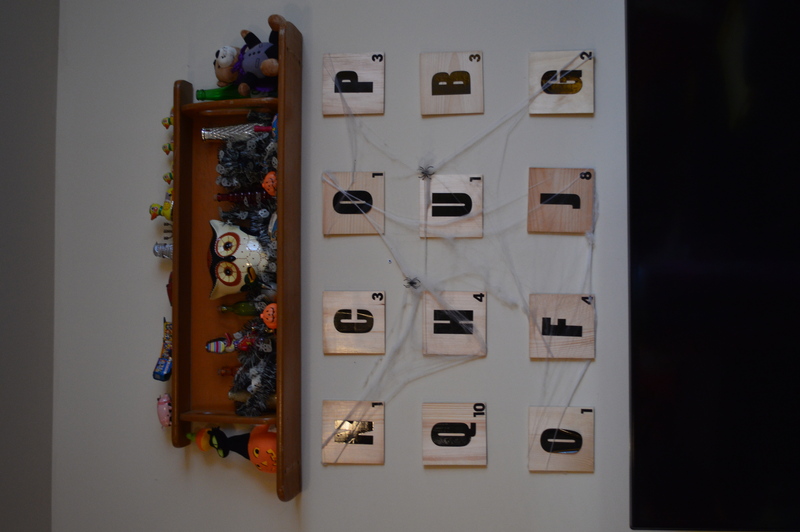 Spider-covered DIY Scrabble Tile Wall Art. 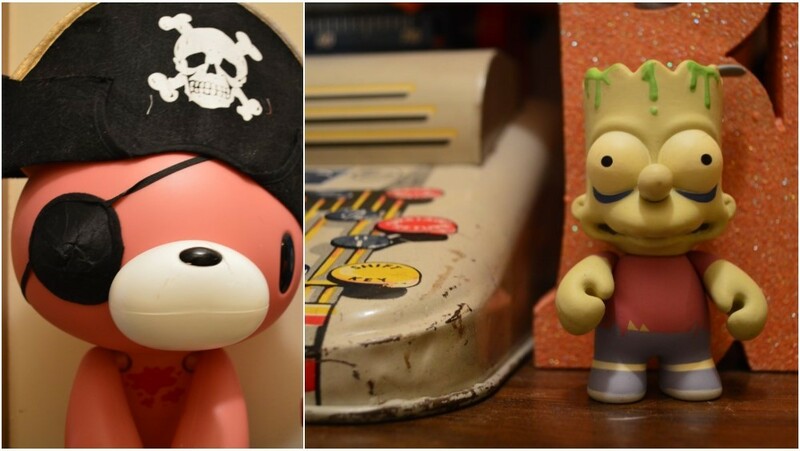 Not to toot my own horn, but I have a very impressive collection of little things, including my prized 1990s McNuggets. Judge away– we all know they’re hilarious. Instead of hiding our collections during the holidays, we decorate them to match! Gloomy Bear was the logical choice for the pirate costume. Using parts of my 2011 costume, Domo makes an adorable nurse. Happy (early) Halloween, ghouls and gals!